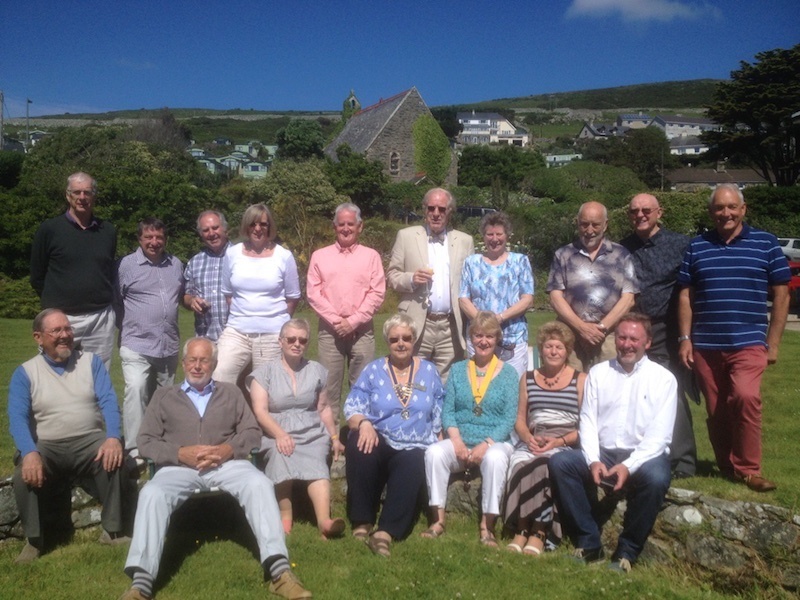 Rotary Club of Mawddach - Welcome! 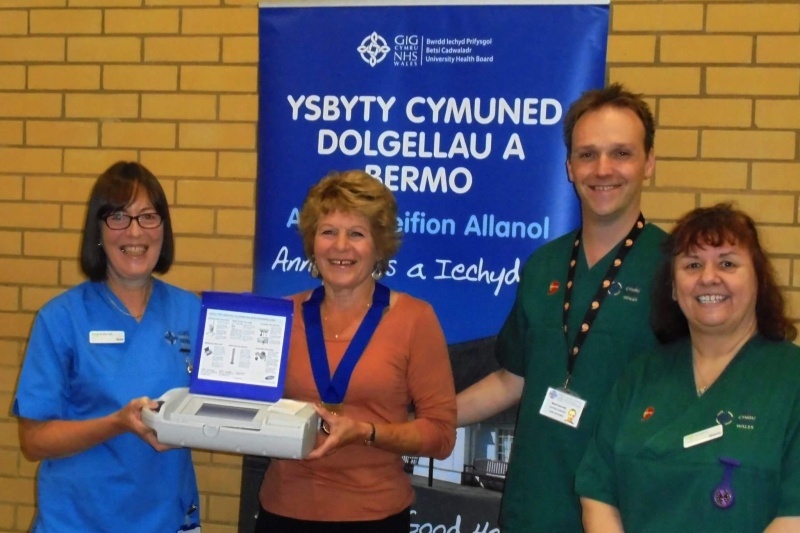 An Evening Rotary Club meeting in Dolgellau & Barmouth. The Rotary Club of Mawddach is a friendly dual-gender club with a regular fortnightly programme of interesting and topical speakers, meeting at 6-45pm on Ist Thursday evenings at the Hendre Coed Holiday Park Restaurant, Llanaber, Barmouth and on the 3rd Thursday at The Sospan Restaurant in the centre of Dolgellau, Gwynedd, North Wales. 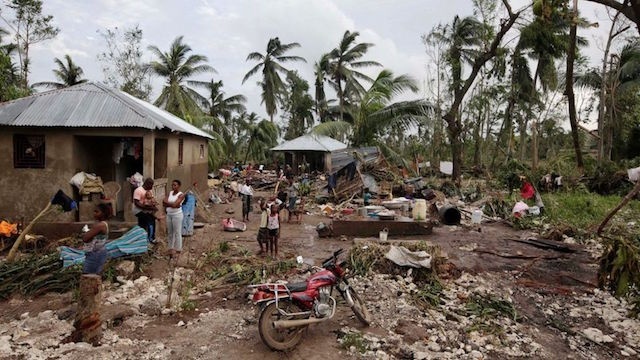 Our members work together to support and assist those less fortunate than ourselves not only in the local community, but wherever they are in the world. 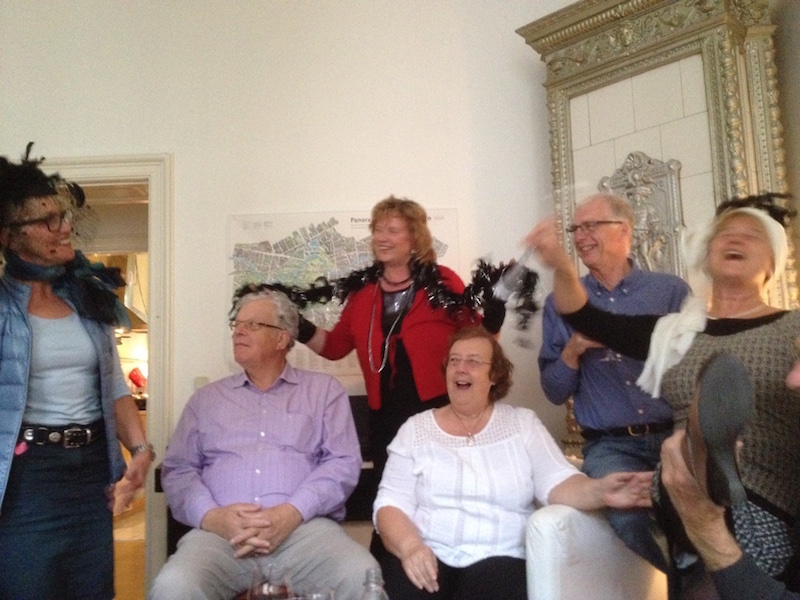 We enjoy our Rotary and so we encourage an informal and relaxed style at all our meetings. 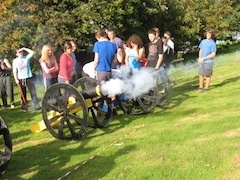 In addition,we organise enjoyable social, service, and fundraising activities. 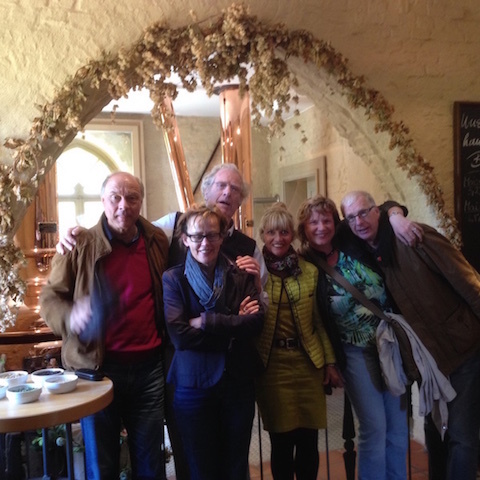 A warm welcome is extended to all local or visiting Rotarians and anyone interested in meeting us at first hand. Membership of Rotary International encourages you to make new friends worldwide. 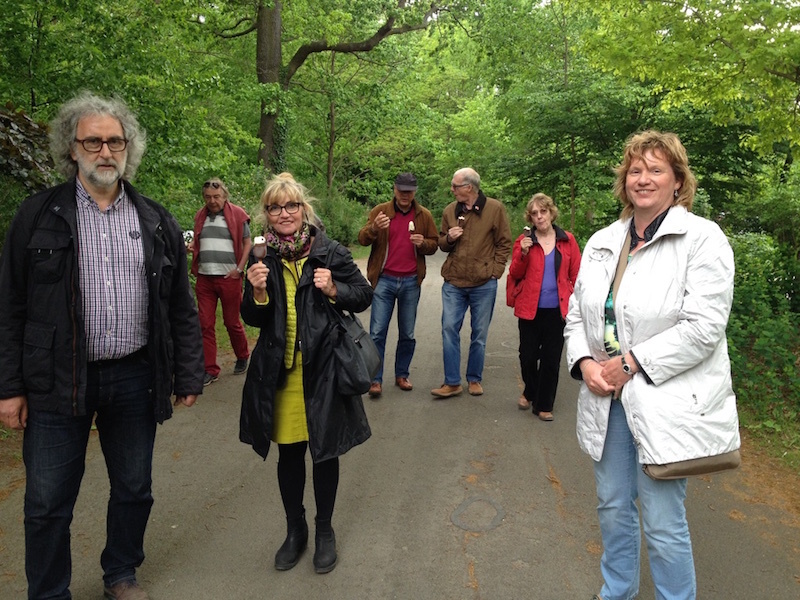 We therefore return the warm welcome which is always given to fellow Rotarians. 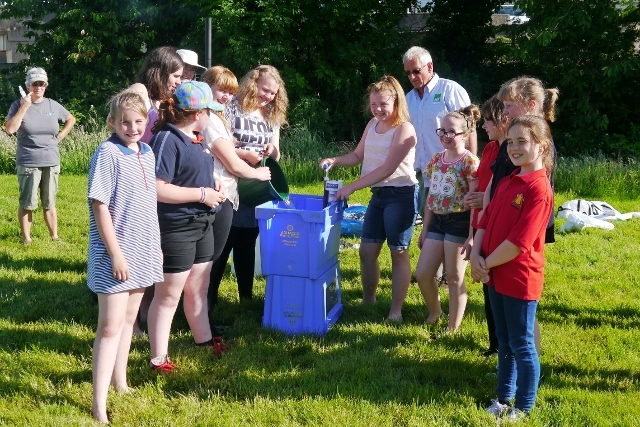 Enthusiastic pupils at the Dolgellau Bro Idris Primary School put the finishing touches to a newly planted young Tree - to mark the Official opening of their School. Mawddach RC donated the Tree as part of Rotary's "Plant a Tree" project, to contribute towards the sustainability of our Planet and to raise awareness of the importance of trees in all our Futures. 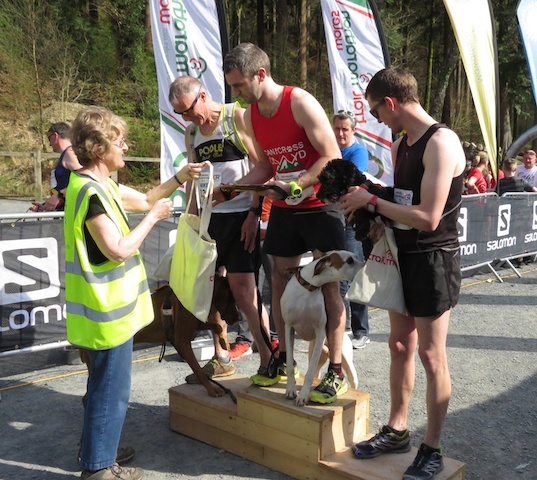 Mawddach RC's project to install a Defribrillator in Dolgellau's Main Car Park was well received - inspite of the weather on the day! - thanks to the generosity of the local Business Community, who collectively raised the £1,500 needed for it's purchase and installation. A real Heartfelt "Thank You" goes to everyone involved for being part of this lifesaving project. 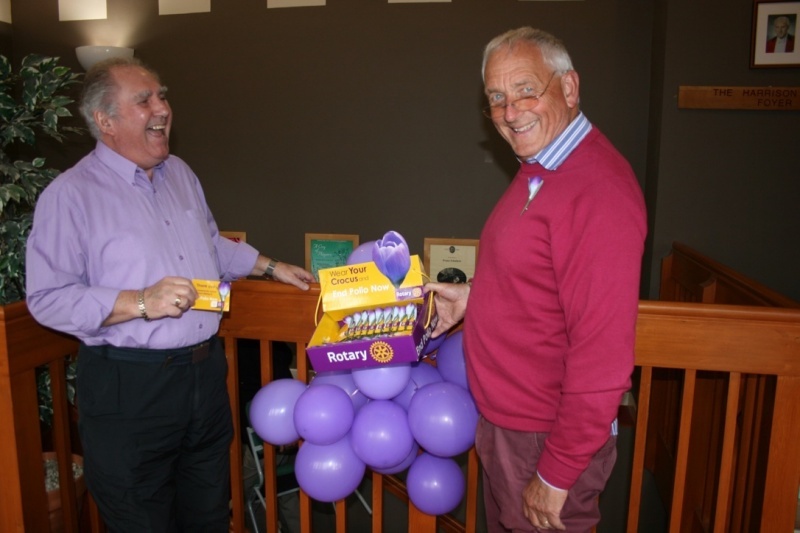 Film Night in aid of Rotary's "End Polio Now"
Purple was the colour of a film night for Rotary's End Polio Now campaign. 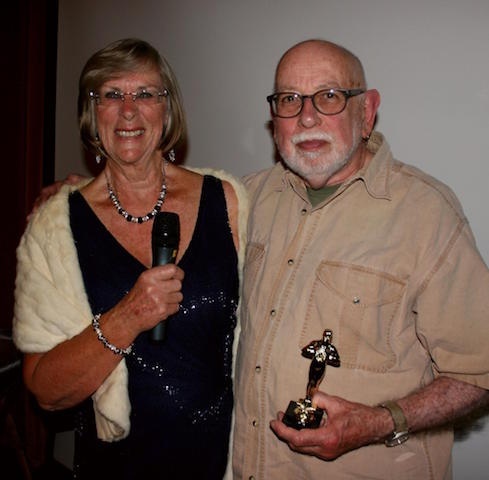 "Breathe" was a true story of Robin Cavendish, a polio victim who invented a mobile respiratory unit to eliminate the need for an iron lung. Children, in parts of the world where polio is endemic, when immunised have their finger painted purple. 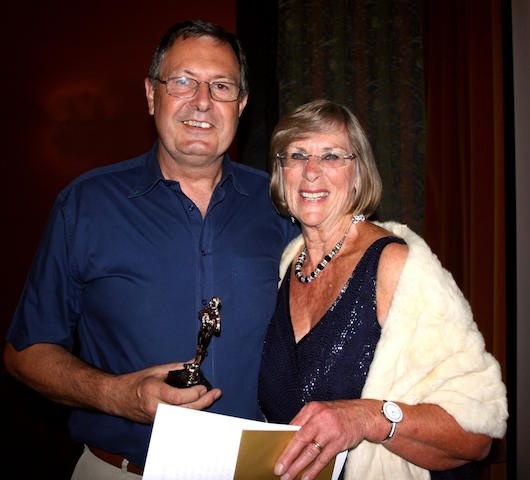 Rotary, alongside the Bill Gates Foundation, has been successful in nearly eradicating this crippling and often fatal disease from the world. 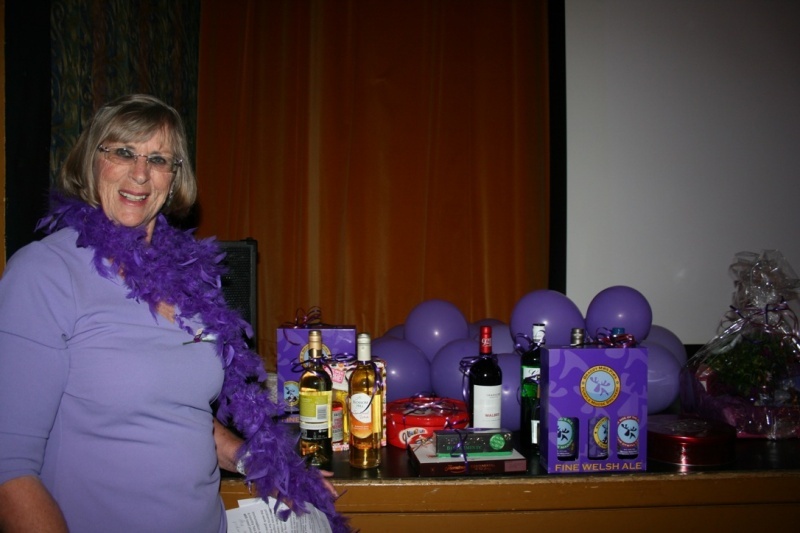 Many thanks to all those purple clad supporters for a successful evening. and everyone at Mawddach RC for the award of the Wallasey & Llangollen Trophies by Rotary District 1180 - N. Wales, Cheshire and Liverpool - in recognition of TWO of this years Club Community Projects. 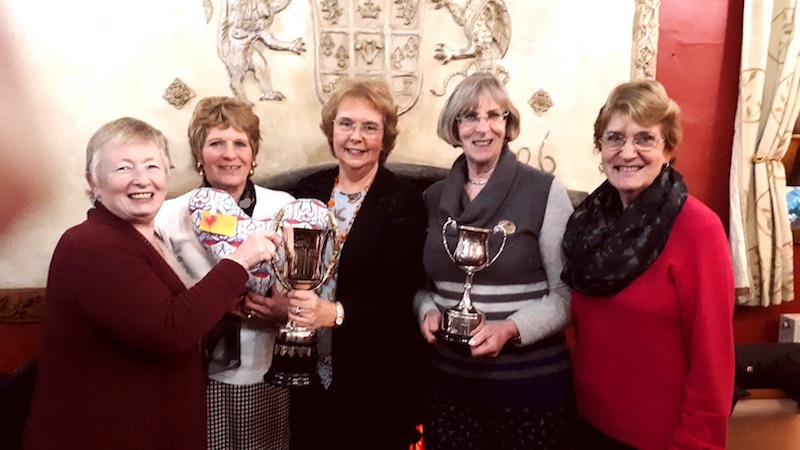 Rose Holland & Vicki Hawes on the left proudly hold the Llangollen Cup awarded for the Club's "Heart Pillow" Community project. 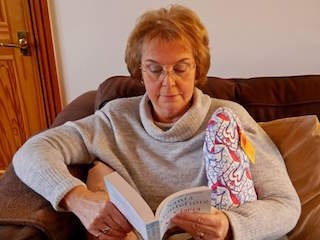 "Heart Pillows" - as displayed by Hilary Nurse - are specially made by Mawddach RC members, assisted by Dolgellau Girl Guides, and distributed free to anyone in the local Community who needs extra comfort & support, following Heart or Chest Surgery. President-Elect Penny presenting a Cheque for £300 to Eluned Yaxley from Ty Gobaith following her very moving talk about the wonderful facility that this Hope House Childrens Hospice provides for the people of N. Wales - in caring for seriously ill Children and in helping grieving parents come to terms with the loss of a loved one. 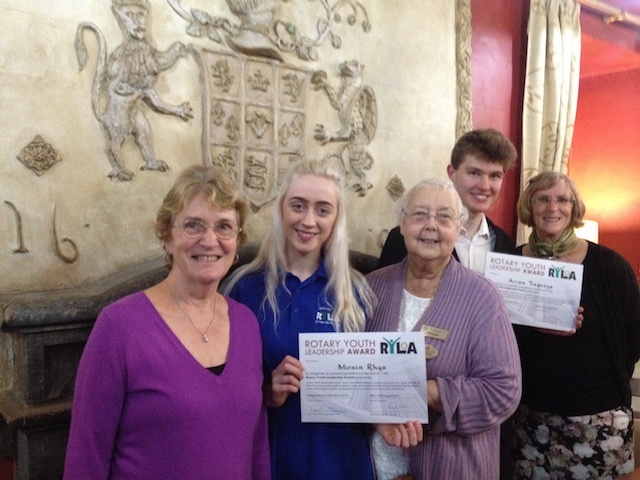 Mirain Rhys & Arron Tregenza receiving their well deserved Youth Leadership Awards (RYLA)from President Beryl and Youth Opportunities Chairman Penny Morton & Eliz Swain following their excellent presentation about their week at this years RYLA Course in Arthog, N. Wales. 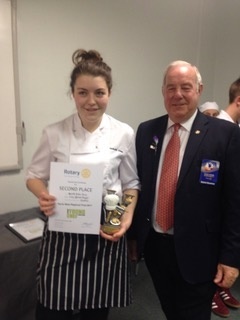 The aim of the Rotary Youth Leadership Award is to encourage Teamwork and Leadership in young people through Outward Bound Activities - boosting their potential to be future Community, Professional or Business leaders. 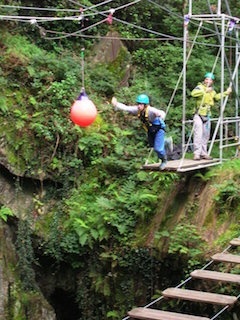 RYLA is an annual worldwide Rotary Youth Community Scheme open to 16-18 year old students - and is held during August at Arthog Outdoor Activity Centre. 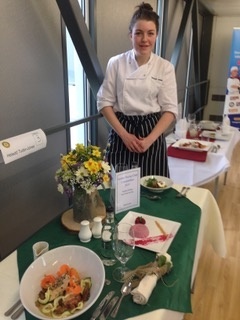 Selection of Candidates from Coleg Meirion Dwyfor is made in May of each year. 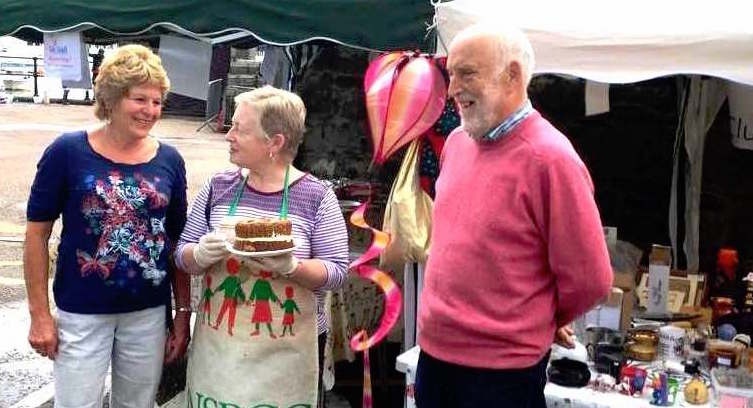 The Antiques "Roadshow" organised by Mawddach Rotary Club in Barmouth, in conjunction with Experts from Halls of Shrewsbury, was again very popular with local residents who brought a large number of fascinating items to be valued. 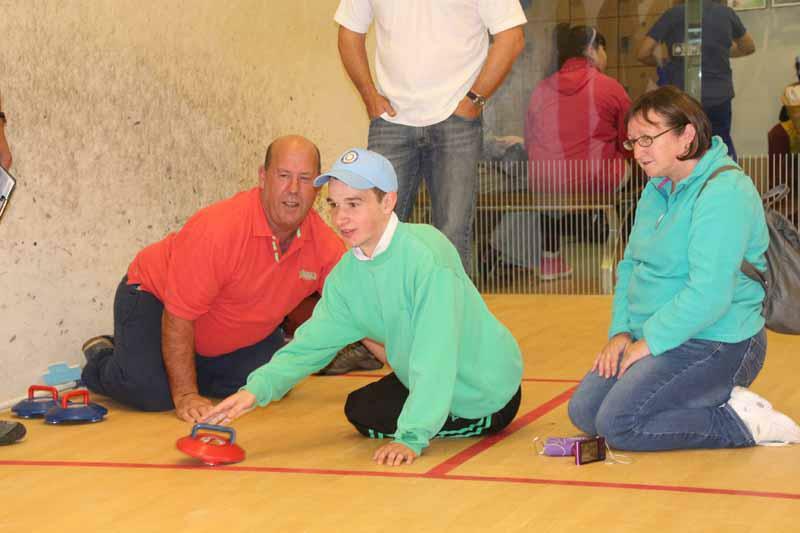 All monies raised from this popular Annual Event are used to support local Charities and Good Causes. So an especial "Thank You" to everyone who came along together with their treasures - and to Halls of Shrewsbury for their invaluable knowledge & support. 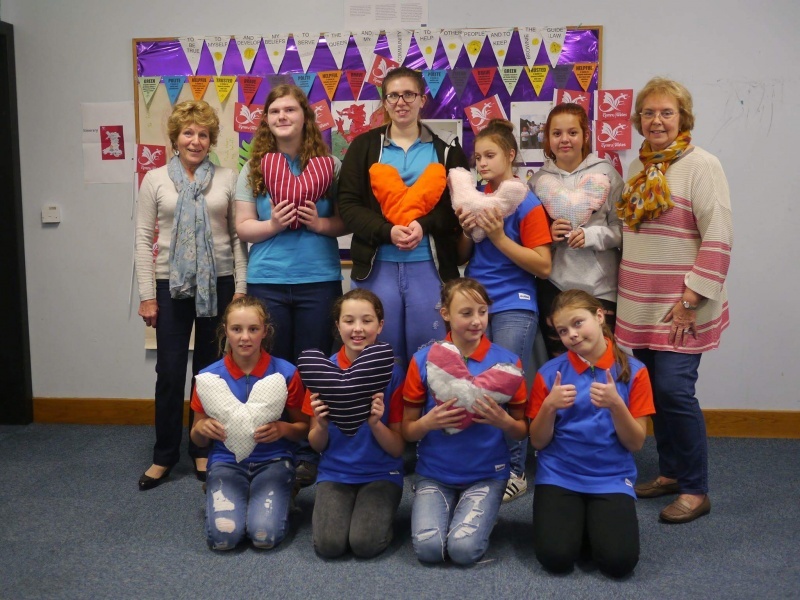 Dolgellau Guides take Project to "Heart"
1st Dolgellau Guides proudly display their "Heart Pillows" which they have made for Mawddach Rotary Club's Community Project to give free comforting cushions to local ladies in need of extra support following breast or thoracic surgery. 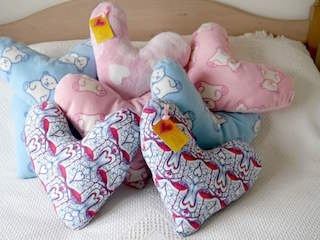 If you would like to receive one of these Free Heart Pillows - just ring Vickie on 01341 423459 or Hilary on 01341 450255. 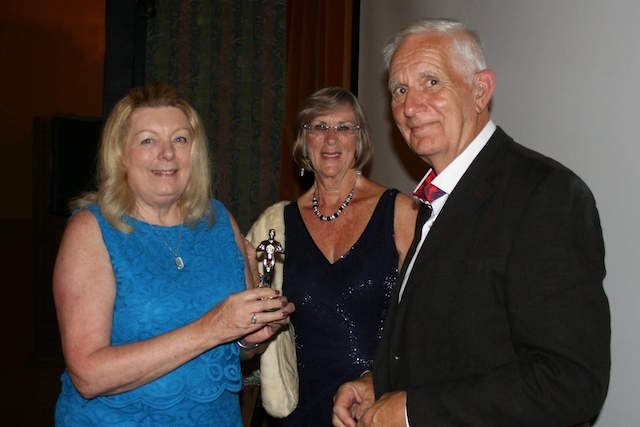 The Annual Mawddach Rotary Club Oscar Film Night in the Dragon Theatre Barmouth, provides the perfect backdrop for their Oscar Presentations to People in the Area, in recognition of the special contribution they have made to the Local Community. 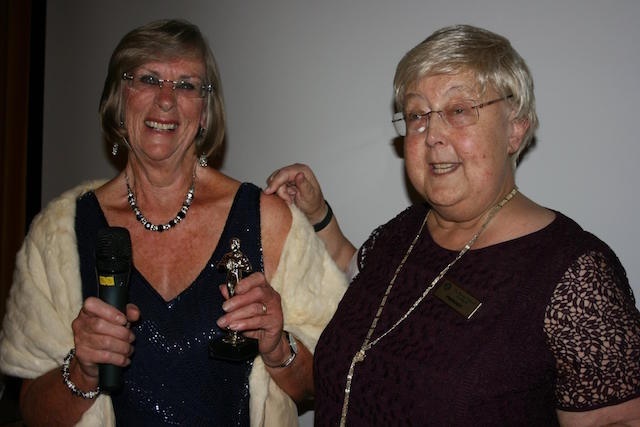 Not to mention the opportunity to "Bring out the Bling" and watch the Oscar Winning Film "Hidden Figures" having enjoyed an Oscar Winning Buffet beforehand with all profits going to Local Good Causes. 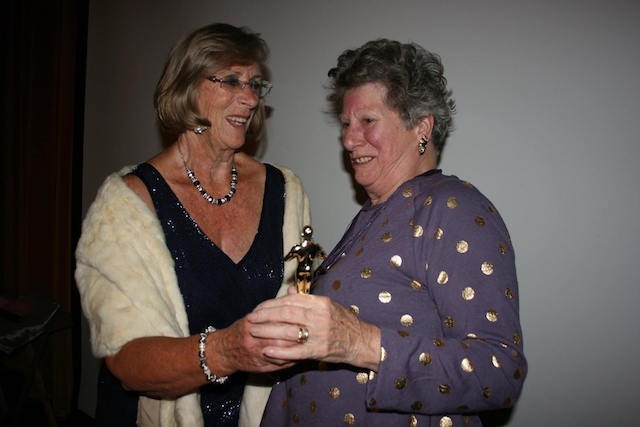 Octaginarian Betty Annett was awarded an Oscar for Best Choreography in recognition of her dediction to teaching Dance to both young and old in Barmouth. 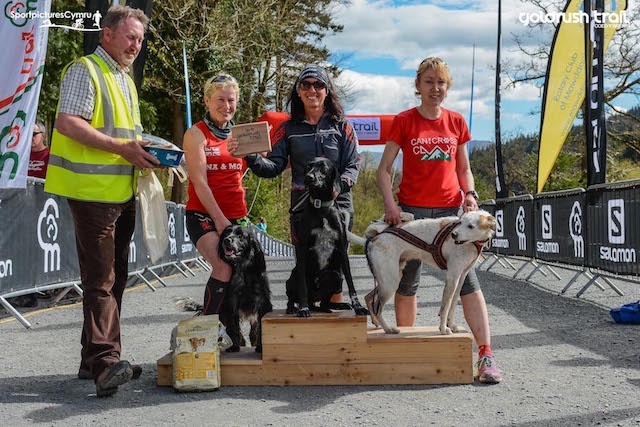 Llanelltyd Y6 pupils also looking forward to next term at "Big School"
President Terry presenting Awards tothe winning Ladies Canicross Race. If you've recently undergone Surgery or Radiotherapy for Breast Cancer and are having discomfort when sitting or driving then these specially designed cushions will be a great comfort to you. Working with The Nepal Trust and Days for Girls, our Club is looking to provide Female Hygiene Kits to the Yari Health & Birthing Centre (See Below) in Humla District in NW Nepal as part of an ongoing Health Education Programme in an area were Menstuating Girls and Women are banished to an Outbulding for a week every month. 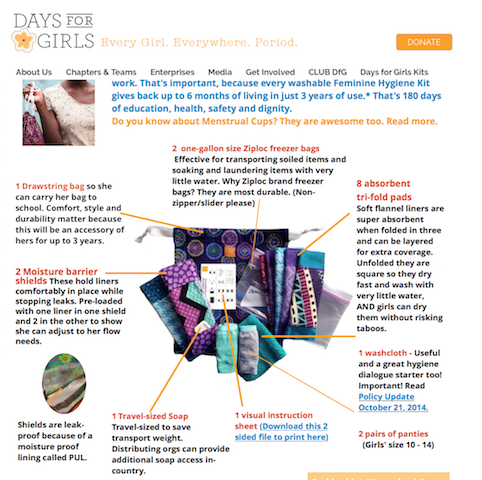 These special Hygiene Kits, costing around US$7 are washable and designed to last for 2-3 years. 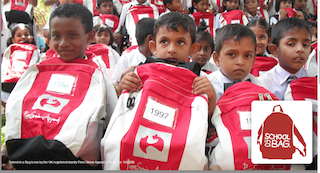 Again working with the Nepal Trust, our Club aims to provide essential Childrens School Stationary through a School in a Bag similar to the one shown above. 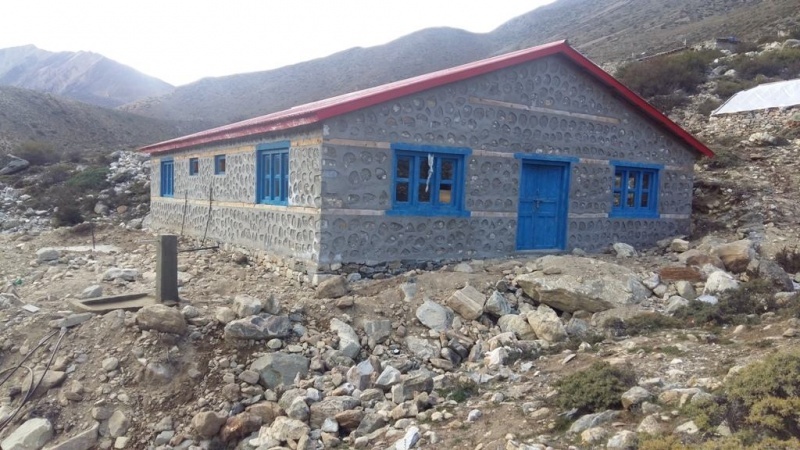 Humla district in NW Nepal is an extremely poor and remote Area and The Nepal Trust has identified the Village School in Thehe as being in particular need. 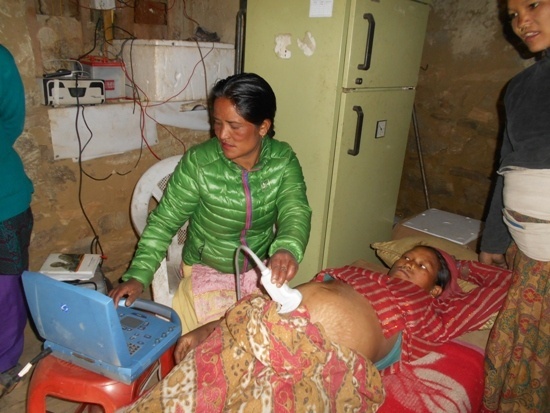 Mawddach Rotary Club along with the Rotary Clubs of Newtown, Welshpool & Porthmadog and in conjunction with other Rotary Clubs in England, financed this life changing facility in Yari, NW Nepal. 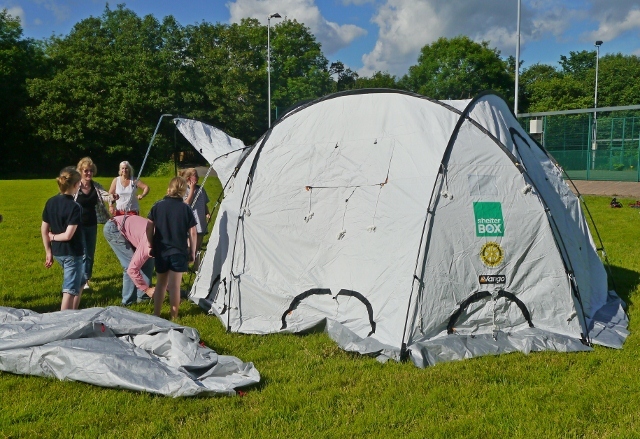 Shelterbox is a UK based Charity providing emergency aid in the form of Tents, Shelter kits and essential survival items delivered within hours direct to the Disaster Area. 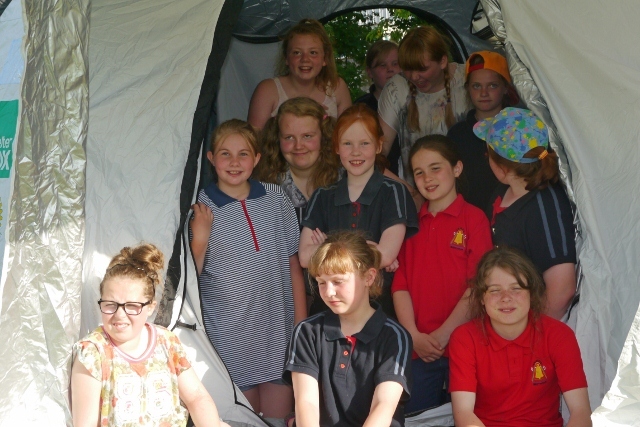 This donation of £600 to Shelterbox would not have been possible without the very generous public support of Mawddach Rotary Clubs Fund raising Events. 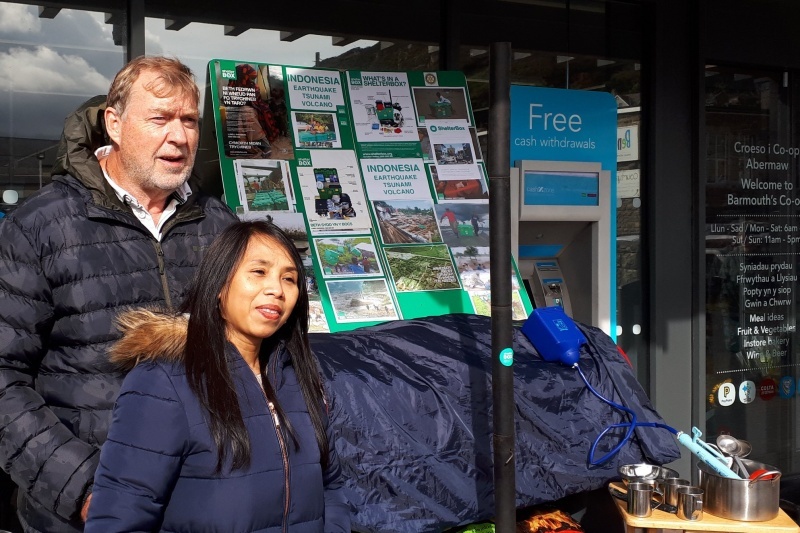 Mawddach RC was delighted to donate Â£300 to Barmouth Oasis Community Group (BOCG) for the purchase of much needed furniture for their increasingly popular "Drop-In Centre" in Park Road, Barmouth (opposite the Co-Op Carpark). 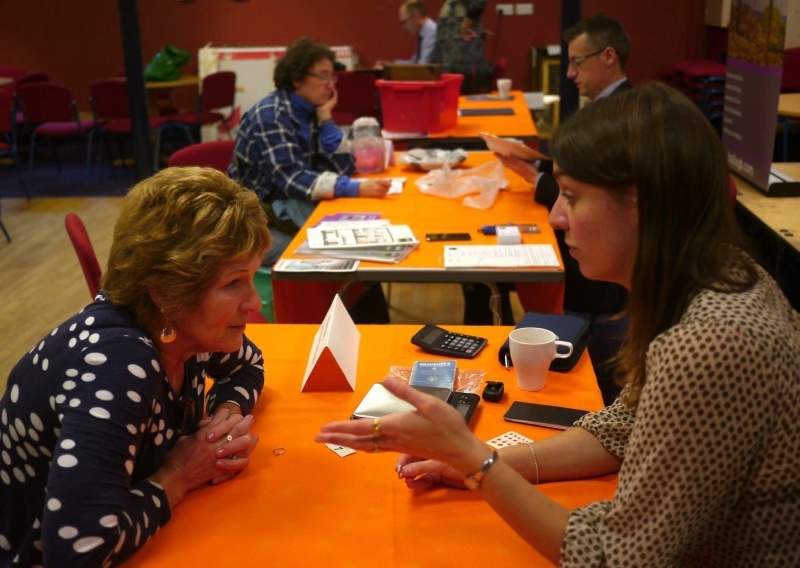 The Drop-In Centre is just one of a whole range of Community Services provided by BOCG which also include: a Children's Day Nursery, Food Bank, Bereavement Counselling Service and Courses in the everyday useage of Computers, Smartphones and Tablets. 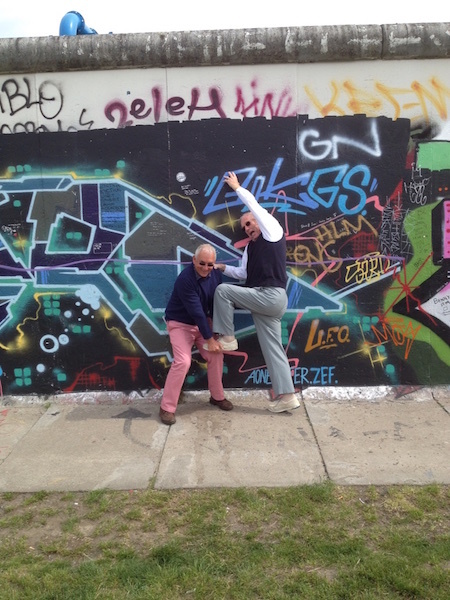 A few snapshots of the Clubs recent joint visit to Berlin together with our German Friendship Club Rotarians from Lippetal in Northern Germany. 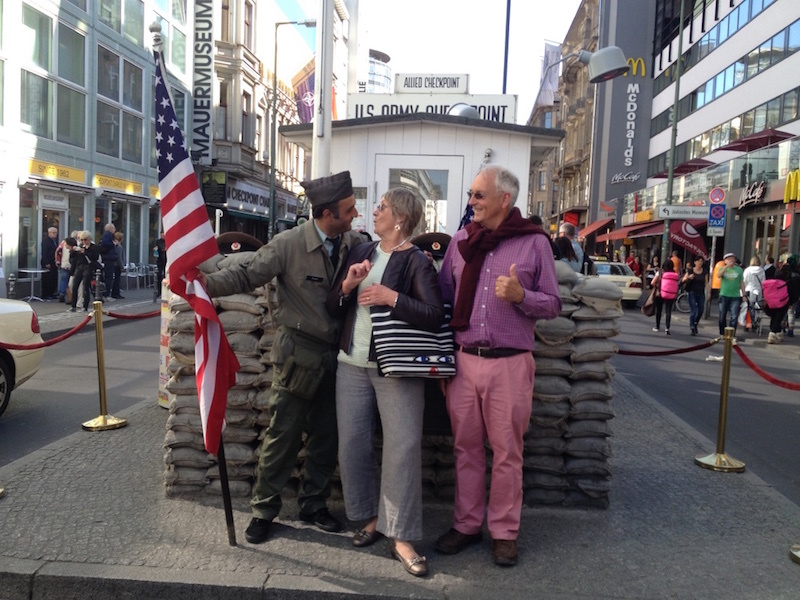 What a great fun place Berlin is! 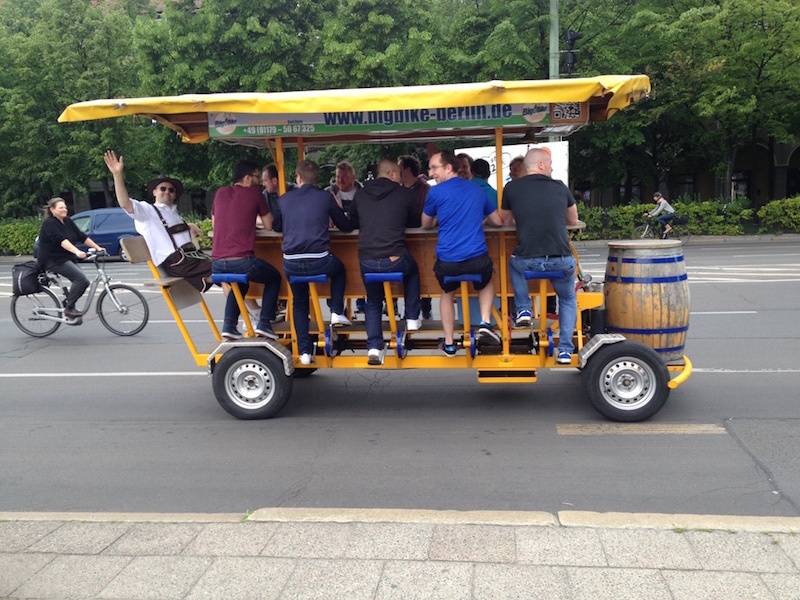 Beer followed by Ice Cream Everyone!!!! 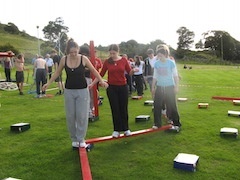 To encourage the developement of Teamwork and Leadership Skills in young people aged 15-17 who have the potential to be future Community, Professional and Business Leaders. 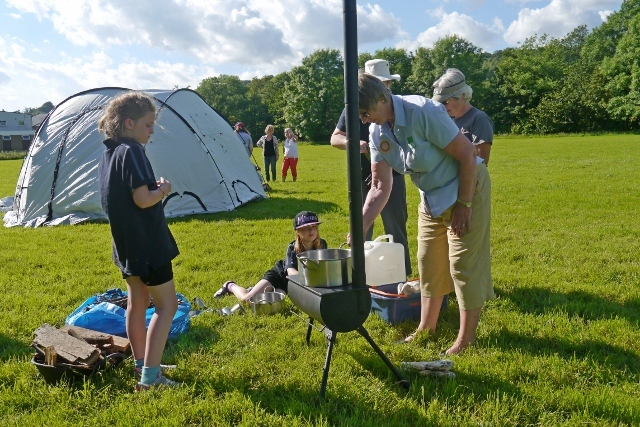 By sending youngsters selected and sponsored by their local Rotary Club in conjunction with their School or College on a one week residential Leadership Course to an Outdoor Activity Centre in their locality. 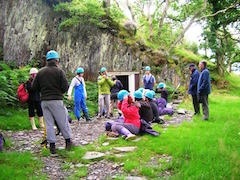 Problem Solving and "The Final Canon"
Well that's the Tent Up - Can we light the Fire now? Supper looks great - come on everyone! 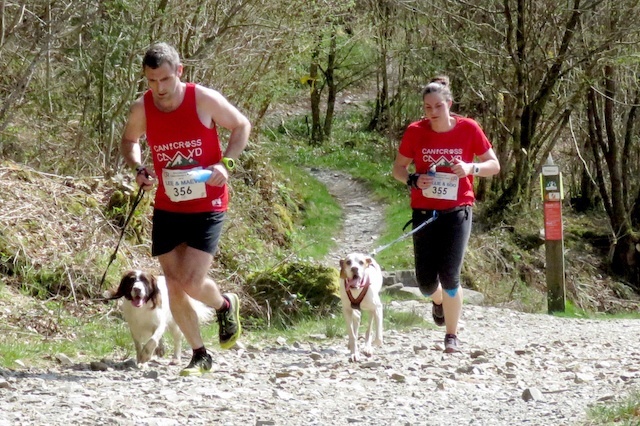 Represent the Mawddach Area & be one of the hundreds of participants who attend this lively event every year.